A Quebec company is transforming the home building industry, one set of ‘bones’ at a time. 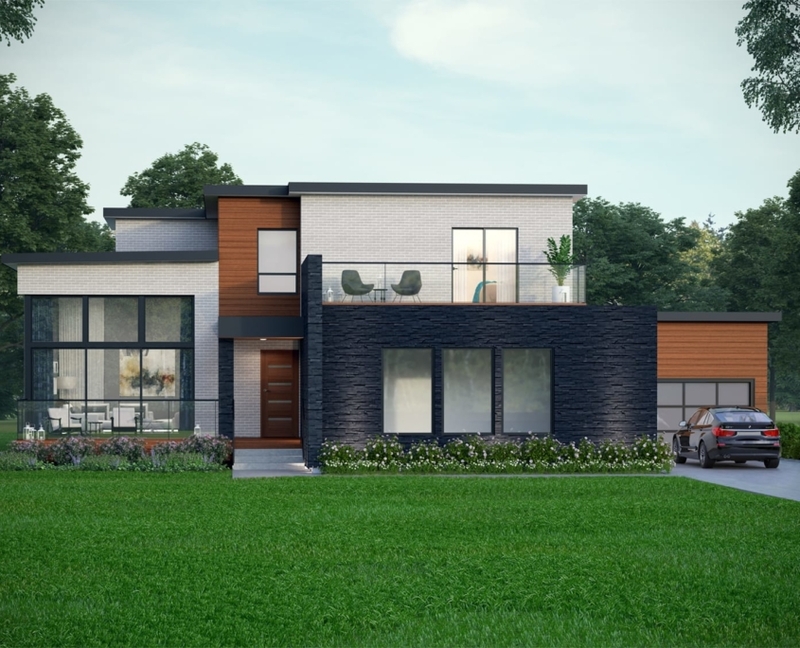 BONE Structure, the brainchild of former Bombardier executive Marc Bovet, is finding a receptive market for its patented steel construction technology that enables energy efficient residential homes to be assembled with precision. The company is intent on bringing the same rigour and quality improvements that have advanced other consumer goods such as cars and phones to houses, turning conventional wood construction on its head. “When you look at the productivity index, the only industry where you’re paying more and getting less in terms of quality, durability, eco responsibility and energy efficiency is your home,” said Bovet. A BONE Structure home is designed using 3D software and laser cut from galvanized steel in the same manner machine parts are made for aircraft and vehicles. Structures arrive on-site pre-cut, pre-drilled and ready for easy assembly using a drill. They are insulated with a combination of expanded polystyrene panels and foam insulation to form a highly efficient and moisture-resistant barrier, eliminating opportunity for mold or pests, and reducing heating and cooling needs by 90 per cent compared to the average new home, said Bovet. The exterior can be “dressed up” in a myriad of finishes, from wood, stucco and masonry to more modern steel or concrete panels. “It’s a very innovative, new direction in homes that we sort of fell in love with,” said Fourteen Estates Ltd. vice-president Shawn Rondeau. “It’s almost like a kids’ K’nex assembly set. It all goes together off of drawings that are easy to read. Fourteen Estates is offering six different BONE Structure platforms in its Eden Park community, an enclave of 28 luxury homes in Newtonville, Ont.